The Bernie & The Believers featured on NPR All Things Considered April 20 2018. 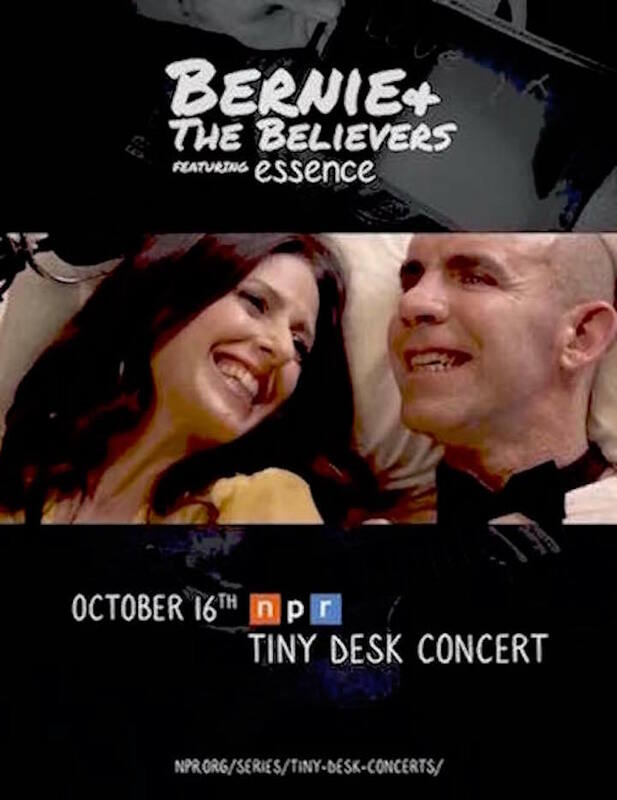 The Bernie & The Believers Tiny Desk Contest submission featured on NPR All Songs Considered hosted by Bob Boilen and Robin Hilton April 3 2018. Bernie & The Believers "Unusual Boy" Featuring essence From the album "Connection" AVAILABLE NOW on iTUNES, Amazon, Spotify, and Google Play! "A triumph of music over ALS"
Meet Bernie Dalton, he doesn't have much time left. My name is Essence Goldman, and I am a singer/songwriter and vocal coach. I want to tell you about Bernie Dalton. He is my voice student and friend. Until very recently, Bernie was a surfer who got up at 4am every morning to watch the sunrise from the waters of the Pacific Ocean in Santa Cruz, CA. Bernie was a wrestler through his high school years. He was strong, physically fit, and active his entire life. Bernie is also a down to earth, kind hearted, devoted single father to a beautiful 16 year old daughter named Nicole. Bernie has always had a passion for music and writing songs. He reached out to me for voice lessons in January 2016. Bernie showed up to each lesson filled with inspiration, songs to share, and eager to learn healthy vocal techniques to expand his range and build his confidence as a singer. Two months after starting voice lessons, Bernie’s voice mysteriously disappeared. We had no idea what caused Bernie to lose his voice. At first we thought his voice loss could be caused by chemical poisoning from chlorine because at the time he cleaned swimming pools for a living. He explored many possible causes but found no answers. During this time I began giving his daughter Nicole voice lessons. Since Bernie wasn’t able to sing we started working on lyrics for his songs. We talked about life as single parents. I was moved by Bernie’s deep love for Nicole. The bond they shared reminded me of the deep love I shared with my own father, who raised me as a single father and passed away suddenly from pancreatic cancer. Bernie began to notice new symptoms. He was having trouble swallowing and began drooling. Bernie saw a neurologist, and after a series of tests he was diagnosed with bulbar-onset ALS, also known as Lou Gehrig’s Disease, the most aggressive form of the disease. The life expectancy for people with bulbar-onset ALS is one to three years. Bernie was shocked and devastated. Bernie was 47. I offered to help Bernie raise money to take his daughter Nicole on a trip anywhere in the world, to have an experience of a lifetime they would never forget. Bernie had another idea. He said his life wish was to make a record of his songs and have his daughter participate. Unable to speak or sing, and with his weakening arms making playing guitar next to impossible, Bernie asked me to be his voice and help him put melody and chords to his lyrics. No one ever asked such a thing of me before in my life. I was stopped in my tracks. I was in the middle of working on my own new album, but I felt I had to do this for Bernie. Together we wrote the first song called “Simon’s Hero.” Bernie wrote the words for his daughter Nicole’s future children who he would not likely live long enough to meet. The song reflects Bernie’s view of the world, and his advice for living. On the recording, his daughter Nicole is singing harmonies. I launched a campaign on Go Fund Me to raise funds to record an entire album of Bernie’s songs. The response from friends, family, and community was immediate and we raised over $20,000. I called upon my most trusted musical collaborators, Roger Rocha, Daniel Berkman, and David Simon-Baker to help bring Bernie’s songs to life. When we began recording in June 2017, Bernie was driving himself to the sessions in his pickup truck. He was walking and able to use his hands. He was able to write on a dry erase board and give us hand signals to communicate his thoughts and direct the creative process. I will tell you this: two thumbs up from someone who can't speak means a lot. Each day we went to the studio, we wrote and recorded a complete song, starting with nothing but words in the morning, and having a finished master recording before ending the session at night. There were many laughs and many tears. In the few short months we spent working on the album, Bernie lost the use of his left arm first, then his legs stiffened and he lost the ability to walk, and finally he lost the use of his right arm and hand. He can no longer give us the thumbs up. Bernie can no longer move any part of his body except his eyes. Like Stephen Hawking, Bernie now communicates by typing short phrases with his eyes, using a computer screen called an “Eye Gaze Device.” He selects letters with his eyes and spells words out one letter at a time. It’s not easy for him to use. His eye muscles get tired. But when he manages to spell out a word or a phrase, he can select an option for the computer to speak what he types -- and in a computer voice the device speaks his words. Sometimes he makes the computer say a word three or four times in a row to make us all laugh. Bernie has an incredible sense of humor in spite of the adversity he is facing. Making this album has allowed Bernie to focus on music and creativity instead of the devastating disease he is facing. This album has given Bernie something to look forward to. It has given Bernie meaning in his life and the ability to make the most of the time he has left. This album, along with his daughter Nicole, are his life’s legacy. Bernie’s album, “Connection,” is now complete and will be released with the band name Bernie and The Believers at Slim’s in San Francisco on February 9, 2018. In November 2017, Go Fund Me contacted me to make a documentary film about Bernie’s life and the making of this record. They were drawn to the inspirational story of how the power of music and the making of Bernie’s record was a triumph over ALS. They were drawn to the generous community support that made it all possible. Nurses were hired to take care of Bernie during the shoot and transportation was arranged to take Bernie to and from the nursing home where Bernie is currently living to the recording studio. The nurses who cared for Bernie during the documentary shoot discovered that Bernie was being neglected at the nursing home. His mouth was not being irrigated or cleaned properly and he was experiencing extreme oral decay. This causes great risk for infection and illness. Bernie communicated that there had been many nights where he had gone 8-10 hours without a nurse checking in on him to change his diaper or give him his medications. Furthermore, his feeding tube did not have the proper padding and the friction against his skin was causing horrible sores to form. Bernie, who has been good natured and relaxed throughout this journey, is now experiencing extreme battles with anxiety. He is shaking uncontrollably for fear of not being able to communicate his needs. This brings me to where Bernie is today. Bernie is living in a nursing home because his family cannot afford the costs of home care. Bernie hates being at the nursing home. He wants to be home with his family, enjoying the time he has left with his loved ones. The type of care Bernie requires costs staggering $12,000 per week. The support of the community has helped Bernie's dream of making a great record come true. But now our goal has changed. Bernie does not have a lot of time left. Throughout his life, Bernie has touched many people with his kindness, humor and generous spirit. Now, he deserves to be given proper medical care and he deserves to spend his remaining days in the peace of his own home, surrounded by loving friends and family. We are launching a brand new campaign to raise funds for Bernie’s end of life care. The support of the community has helped Bernie's dream of making an amazing record come true, but now he needs us more than ever. Nothing is more important to us than bringing Bernie home for his final days. We believe it is possible that with the help of friends, family, community, and beyond, we can share Bernie’s story far and wide and raise the money needed for Bernie’s home care. Please give what you can today, and share Bernie’s story wherever you can. Help Bernie get the proper care that he deserves. You can make the difference and give Bernie dignity and peace in his remaining days. Let’s show Bernie our love. Check out this official video of Bernie and the Believers performance on NPR's Tiny Desk Concert. Host Bob Boilen said: "The story of Bernie and the Believers is the most powerful I've ever come across at the Tiny Desk. It's about a beautiful act of compassion that ultimately led to this performance, and left me and my coworkers in tears." We are about to kick off our Bernie & The Believers Tiny Desk/East Coast Tour! Flying out TODAY! The LIVE Tiny Desk Concert taping is Tuesday 10/16 at 1pm EST and will air shortly thereafter. We have a show in NY on 10/18 and 2 shows in Pennsylvania 10/19! Guests are allowed so let me know if anyone wants to attend the live taping at NPR Headquarters in DC. 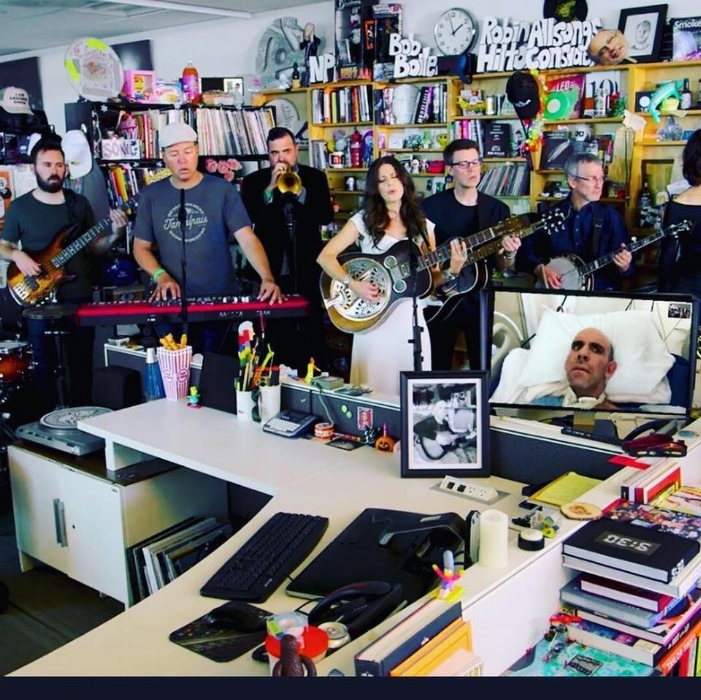 The LIVE Tiny Desk Concert taping is Tuesday 10/16 at 1pm EST and will air shortly thereafter. We have a show in NY on 10/18 and 2 shows in Pennsylvania 10/19! Guests are allowed so let me know if anyone wants to attend the live taping at NPR Headquarters in DC. I can’t begin to express how proud I am to be part of this project and what an honor it is to be the voice of Bernie Dalton- sharing his message of courage and love through music. The band has been rehearsing like a mother and we are buzzing with adrenalin and excitement. 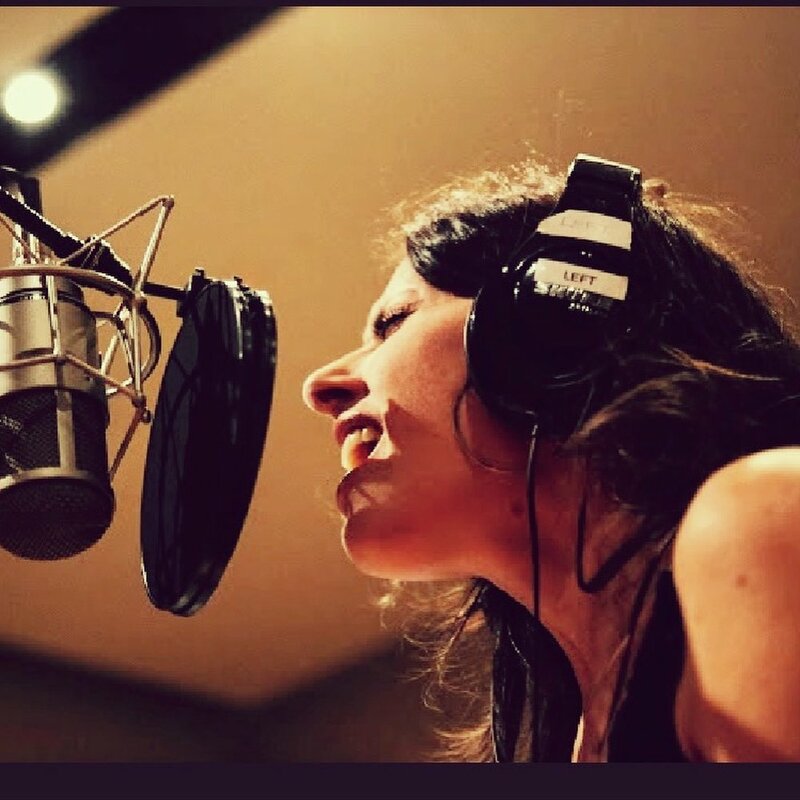 I’m thrilled to be making music with Daniel Berkman on drums and cello, Jonathan Korty on keys and organ, Kevin Glaz on guitar, Paul Smith-Stewart on bass, Adrienne Biggs on violin, Jeff Bordes on trumpet, Bob Regent on banjo, and Olivia Normann-Smith on harmonies. I’ve written a statement about the project. It was supposed to be one minute. It’s not. I had a major breakthrough writing it. I read it to the Tiny Desk creator and host Bob Boilin and he became very emotional and didn’t ask me to change anything or shorten it so it remains. I hope I can hold it together when I tell the story at Tiny Desk. We were going to do 4 songs but with there’s time considerations so we had to cut one. My personal favorite, but this isn’t about me. It’s about Bernie and his powerful message to us all— and my only wish is to channel him in the most pure way possible. We haven’t quite met our funding goal yet. In other words, we have enough money to get most of us to the East Coast and back (but not all of us) and not enough to eat or compensate the talented musicians for the time they are taking away from their jobs and families. We are in the final stretch here and WE NEED YOUR SUPPORT! If you haven’t donated yet— please donate today if you can! And if you already have, please know we are filled with heartfelt gratitude. None of this would have been possible without you. We know it. And we thank you. Go to Soundwaves TV to watch the full interview. essence discusses her songwriting process and the Bernie and the Believers project. April 3 2018 Bernie & The Believers featured on NPR All Songs Considered. From The Album, Connection By Bernie and The Believers Feat. essence www.BernieAndTheBelievers.com PLEASE DONATE NOW TO SEND BERNIE HOME! He could be Mr. Right. Bernie can’t sign his name anymore so his fingerprint has become his signature. A limited number of signed Bernie & The Believers CD’s are now available! Purchase using the button below and and checkout useing either PayPal or a credit card.